As Augustine noted these “infant martyr flowers”; they were the Church’s first blossoms, matured by the frost of persecution during the cold winter of unbelief”. In remembering them, I cannot help but also be reminded of the countless martyrs that have given their lives long after them. ABC News on Dec. 23, 2015 reports that Iraq’s Christian population has dropped from 1.3 million people in the 1997 census to about 650,000 now. Lebanon, who has taken on many of Syria’s refugees, is an area where according to the NY Times Christians in 1925 constituted 85% of the population now constitute less than a quarter. The recent bombings in Beruit and Paris, as well as the attacks in Mali, and Tunisia this November show little regard for unarmed or innocent citizens. Pray and…work – with courage towards promoting change, real substantive change. This means having a goal that involves more than just eliminating Isis, for as history has proven, there are others that will merely step into their place. Looking at the underlying problems of poverty, unstable governments with recruitment of child soldiers, not to mention human and drug trafficking we see that there is fertile ground for violence. Are we ready not just to fight but to witness God kingdom in the world? Are we prepared to get to the work of education, justice and peace? Then, there is also a true need for dialogue, and reconciliation. My mom, a high school math teacher in a very poor area of the south, understood this well. Her classes consisted of students who others had already given up on, those who were absent due to fights, arrests, drugs or early pregnancies. An expected typical day or life for a student, or child was not typical for them. Many were living the only life they knew, in cycles of violence, dependence and poverty where few had ever taken an interest in their potential. That is, before my mom. Meeting with students before and after school to mentor, she also created homework and make up for long extended absences and most importantly…let them know she cared. Years later, on innumerable occasions she would be stopped by a former student, all grown up who would tell her the difference she truly had made in their life. Though a seemingly small step, these are the actions that each of us can do in promoting peace, and justice in our communities, in living out our faith with courage. 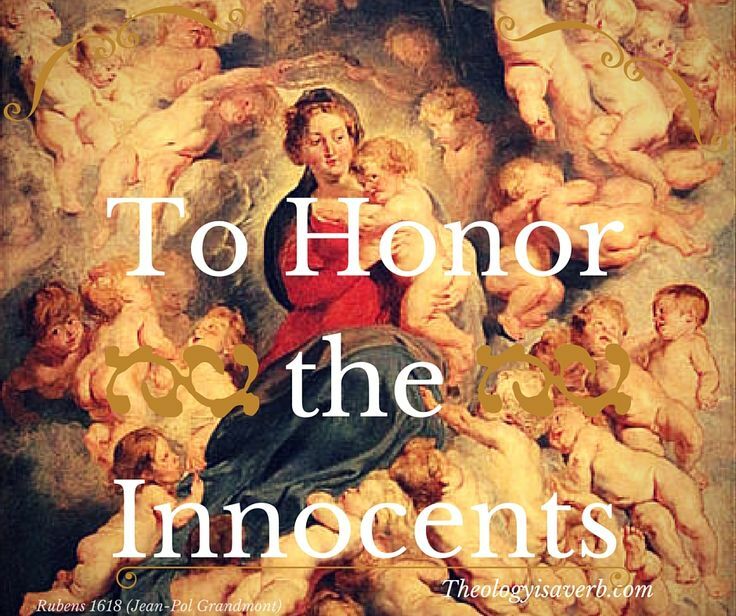 In serving as spiritual mothers and fathers we too can nurture the children we encounter and give voice to Holy Innocents whose lives ended too soon.